Mexico and South Korea fans will have a good night tonight. South Korea knocked Germany out of the 2018 World Cup on Wednesday, thereby helping Mexico qualify for the next round. In response, Mexicans are celebrating South Korea â" to say thank you. In Mexico City right now, hundreds of chanting, applauding, and screaming fans have flocked to the South Korean embassy. South Koreaâs consul general in Mexico, Byoung-Jin Han, decided to join in the revelry. Itâs also possible he drank tequila with the fans. Thereâs a good reason for all the South Korea-Mexico bonhomie. Mexico lost 3-0 to Sweden, which meant that Germany â" the country that won the last World Cup and a favorite to win this one â" had to beat South Korea to eliminate Mexico and move on to the next round. But South Korea dramatically defeated Germany 2-0, thereby allowing Mexico to progress. South Korea, sadly, didnât do well enough throughout the tournamentâs first round to move on, even though they beat Germany. 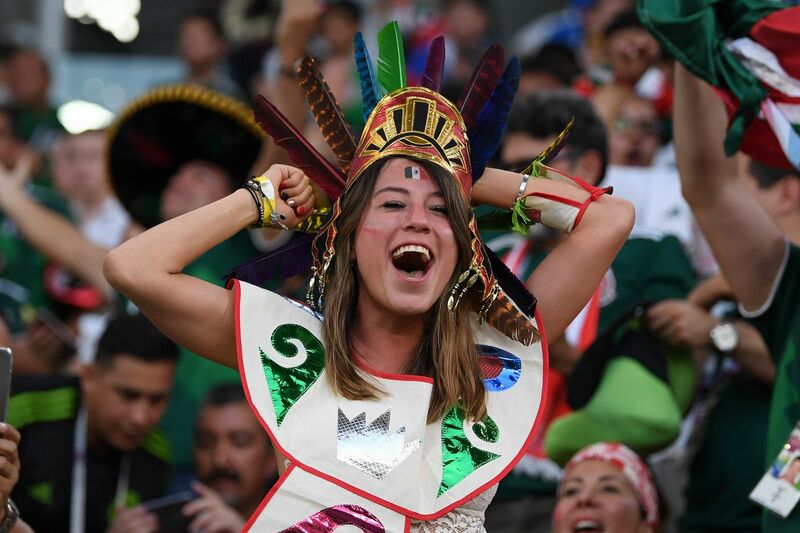 Perhaps the kindness and enthusiasm of Mexican fans will prove to be a decent consolation prize. And if not, at least there are videos of Mexico supporters dancing to Gangnam Style now.